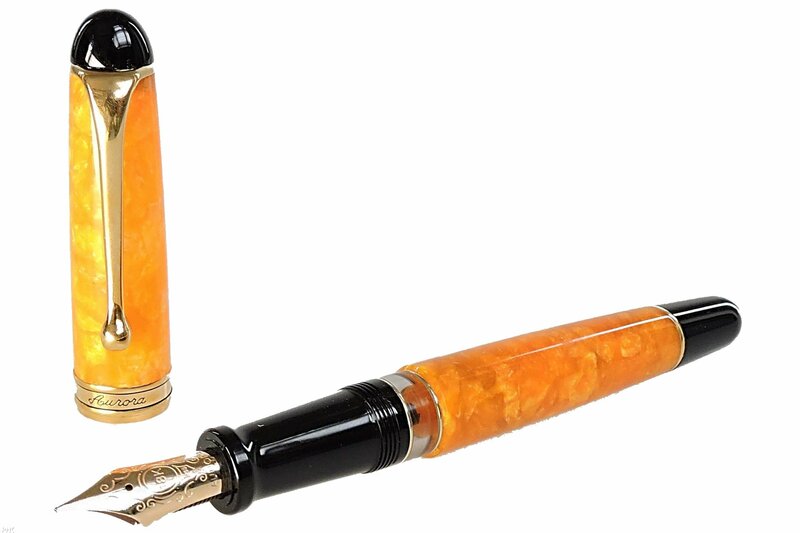 The historic and classic Aurora “88” Aurora pen has been revisited in its materials for this unique version, with barrel and cap in marbled resin.A new birth like in the morning first rays of sun. Its colors are indeed a hymn to light,to the splendid glow that rises every new day. Limited and numbered edition to only 888 pieces in orange Aurolide resin. Piston filling and 18kt solid gold nib.